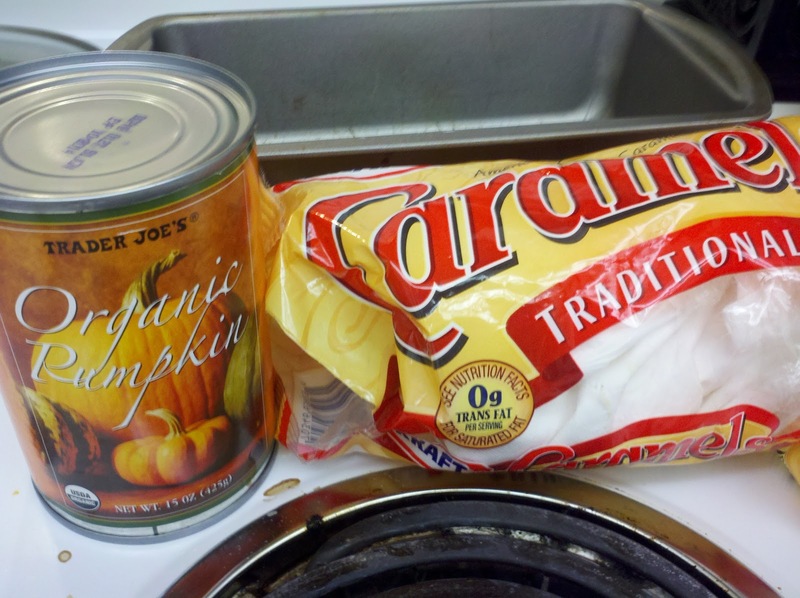 I brought this to my office Thanksgiving Potluck, and it was a big hit. If you aren't familiar with blondies, they are a brownie's non-chocolate counterpart. Everything you love about the texture of brownies, but made with more of a yellow cake mix idea. 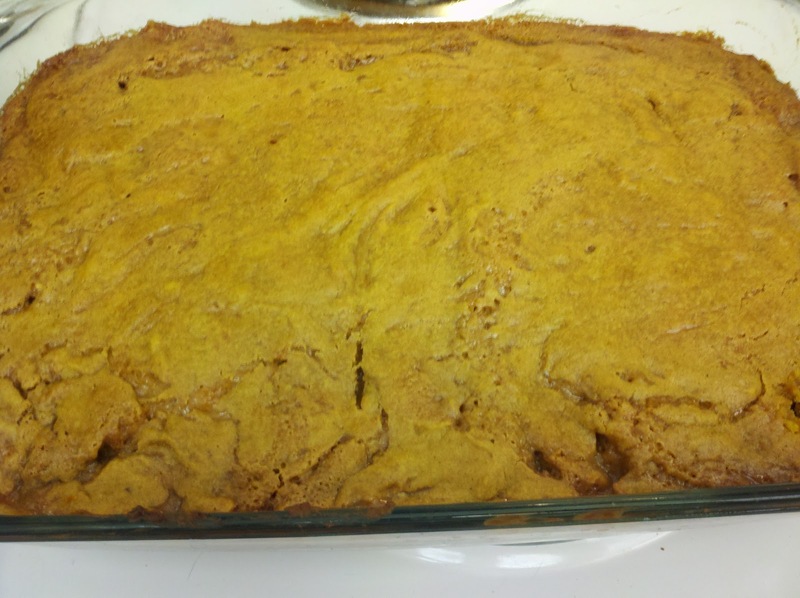 These are made with pumpkin and lots of cinnamon and pumpkin pie spice, and are so delicious! The caramel filling proved to be amazingly tasty, but so messy. Even though I let them cool in the refrigerator overnight, before I attempted to cut them into squares, the caramel never hardened up much, and created a nice lava flow effect upon slicing. I would perhaps try leaving out the heavy cream that is mixed in with the caramels, so that it might harden up more, when cooled. OR, just embrace it, and serve warm, scooped into bowls with ice cream. Now that's a good plan B! 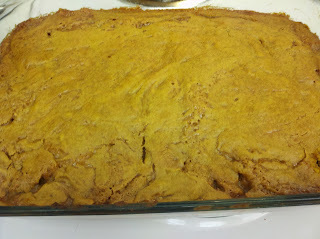 I think this seems more like a cobbler of caramely goodness, than neatly cut blondie squares. No matter how you serve these up, they are festive and delicious!! See this recipe found at Tasty Kitchen for the full recipe. You layer 2/3 of the batter into a 9x13 greased pan, then spread the caramel layer over, and top with dollops of the remaining 1/3 of the batter, spreading to mostly cover the caramel layer. Bake, let cool, and enjoy!! Chai Spiced Mashed Sweet Potato!